Over the past 20 years, anticorruption has made its mark on the international agenda. International legal norms and the international development agenda have both taken up anticorruption as a key issue. But, how do these norms change in a time where many Western governments seem to have their own problems with conflicts of interest and informal practices. 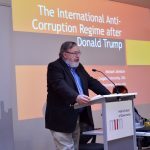 In a lunchtime lecture at the Hertie School, Prof. Michael Johnston explored the nature of the international anticorruption regime and trace its recent developments since the election of Donald Trump as US President. He highlighted that the president’s questionable practices and the conflicts of interests reflected in his business links, set a dangerous example and undremine anticorruption values. Prof Johnston, however, pointed out that the election of Donald Trump could also lead to an invigorated civil society in the United States and give room for a global anticcorruption movement led by other states than the US. 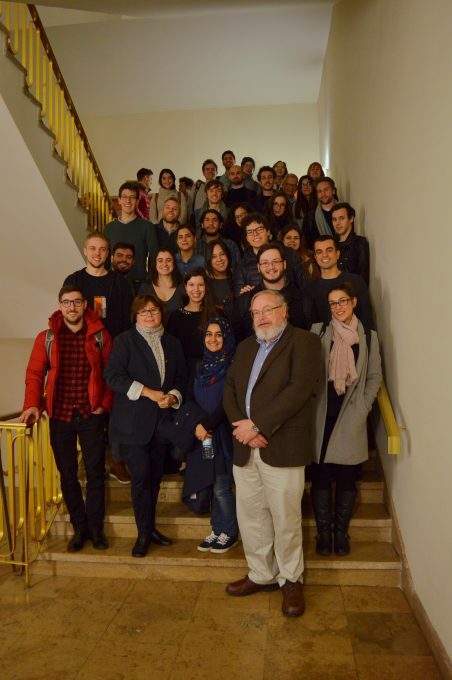 The lecture was part of Alina Mungiu-Pippidi’s 2017 MPP/MIA course on “Corruption as a Policy Failure.” ERCAS was happy to see a lively discussion between Michael Johnston, the students and external guests. The discussion was moderated by Alina Mungiu-Pippidi.